The Scottish Football Blog: Can anybody hear us scream? why oh why oh why is hamilton v rangers the game being shown? Surely A'deen v Hearts is a game between two more closely matched teams that will probably draw a bigger crowd than you'll get in Hamilton? (the reason why of course is because neither of the teams on the pitch at Pittodrie are Old Firm teams). Same story, same old story. Another great advert for Scottish football! Scottish football as a whole seems pre-occupied with getting the dosh in rather than looking at gaining the correct exposure. The scheduling of this season's SPL games (Lunchtime on Saturday's & Sunday's, the worst possable time for public transport)for example. 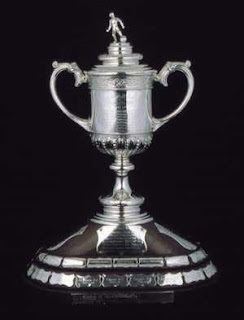 For some reason, the Scottish Cup has suffered from this poor marketing for years. Highlights at unearthly hours, live games at Sunday Lunchtimes and Weekday nights. Who runs the Scottish Cup, ITV?